The New England Patriots and Seattle Seahawks will meet on Sunday, marking the first time since their battle in Super Bowl XLIX that they’ve faced each other. Considering the stakes involved, the back-and-forth pace of the 28-24 game and the way it ended, the Super Bowl matchup easily ranks as the greatest of their 17 previous meetings. In those 17 battles, New England holds a slim 9-8 advantage. The Patriots, presently sitting at 7-1 this season, got a 16-year jump on the Seahawks, who were established in 1976 and are sitting at 5-2-1 this season. This particular series is a streaky window into the changing fortunes of each franchise, as New England dominated with five victories in six games, followed by a split of the next two contests. When Seattle won in 1989, it marked the first of five consecutive wins against the Patriots. The last two both came in 1993, when NFL scheduling pinned the Pats against the Hawks twice. It wouldn’t be until 2004 that the two teams met again, with the Patriots in the midst of three Super Bowl titles in four seasons. Bill Belichick’s team won that game and the next, but watched the Seahawks charge back to win their last regular season clash in 2012. In that meeting, New England led by 13 in the fourth quarter before Russell Wilson led Seattle to two touchdowns. His second score came on a 46-yard pass with 1:27 remaining. Stepping back a bit, there are two games, earlier in the series, that stand out. The 1980 matchup between these teams was tied three times and saw five lead changes over the course of the contest. The Seahawks battled back from another 13-point deficit, but this time, the Patriots drove for the winning score in a 37-31 victory. Exactly six years later to the day, Seattle came back from a 10-point deficit in their 38-31 win. 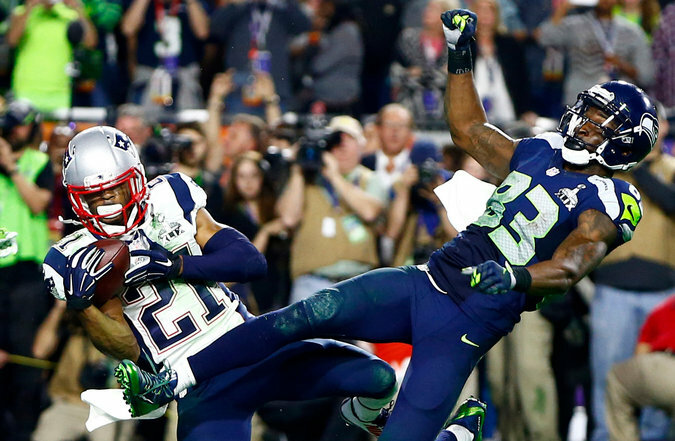 Despite the Patriots dominating offensively, the Seahawks won the game with 17 points scored in the final three minutes. In Sunday’s game at Gillette Stadium, Seattle will be coming off a Monday night game for which they had to trek across the country. Tired legs might be one more challenge to a team that’s been inconsistent on offense. Meanwhile, New England has averaged nearly 30 points per game since Tom Brady returned from his suspension. Seattle’s offensive struggles have been widely overlooked, due to their league-leading defense, which was allowing just 15.6 points per game prior to their Monday night game against the Buffalo Bills. Being able to neutralize Brady is a tall task for any team and, with Belichick's own defensive pedigree likely to limit Wilson and Co., expect New England to walk off the field sporting an 8-1 record.